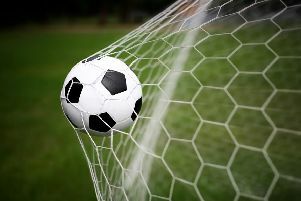 Hastings United Football Club is seeking to bring in a new striker in time for the start of the coming season. Hastings manager Chris Agutter has opted to look outside the club for attacking reinforcements following the long-term injury to last season’s leading scorer Davide Rodari. Hastings will kick-off their 2018/19 Bostik League South East Division campaign at home to Thamesmead Town on Saturday August 11. Agutter said: “With Davide being injured, over the past week or so we’ve had a good look at what we’ve got in-house and I think we definitely need an alternative at the moment. Experienced forward Jamie Taylor played and scored in the 1-1 friendly draw away to Bostik League Premier Division newcomers Walton Casuals on Saturday, but won’t be signing. Agutter has trimmed the size of his squad slightly over the past week. Bradley Pritchard has been released, while cover goalkeeper Louis Rogers has signed for AFC Uckfield Town on a dual registration basis. A couple of other players, probably younger members of the squad, may also dual register with other clubs to ensure they keep playing first team football. Hastings have played two more friendlies over the past week. The Walton game was followed by a 2-1 win away to Southern Combination League Premier Division team Eastbourne Town on Tuesday night via first half goals from Jack Dixon and Dayshonne Golding. “It’s been good,” continued Agutter. “Walton definitely presented a different type of test from what we’ve faced so far - they were the first team that’s pressed us really high. “They’re a decent side and it was a game last season we certainly would’ve lost. We ground it out a little bit and had to get a result in a different sort of way. The performance wasn’t great, but we showed a different side to us. “We looked very solid - there’s definitely been an improvement there - and it was a really good workout. It posed lots of different challenges up there (including a strong wind and slow 3G pitch). “The first half on Tuesday was probably the best we’ve played pre-season. We had a really nice mix to our game. It was like a proper game, proper atmosphere and it had a real competitive game feel to it. First half we were excellent, second half wasn’t great. Hastings’ one remaining warm-up game is at home to Bostik Premier club Whitehawk on Monday, kick-off 7.45pm. Sonny Dullaway has been back in training this week. Alex Smith is back in full training, but hasn’t featured in the friendlies as the club gradually nurses him back to action following long-term injury.